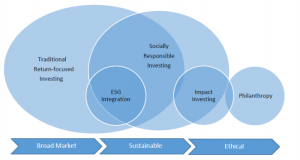 Sustainable investing is a growing focus for investors, who are increasingly looking to their money to do something positive at the same time as generating an investment return. The discipline goes beyond the traditional asset management process and takes specific account of underlying trends in society. It requires investment behaviour to adjust in relation to such matters as honesty and ethics in business, air and water quality, and the evolving interaction between labour, land and capital. A recent wave of specialist ETF products brings the approach into the realm of passive investing. This month, we are pleased to provide you with a white paper prepared by Sparrows Capital’s Raymond Backreedy, which looks to demystify the process of constructing a sustainable ETF portfolio. Sparrows Capital has hands-on experience of designing, executing and managing sustainable ETF portfolios for clients, and we are delighted to share our insights with you.